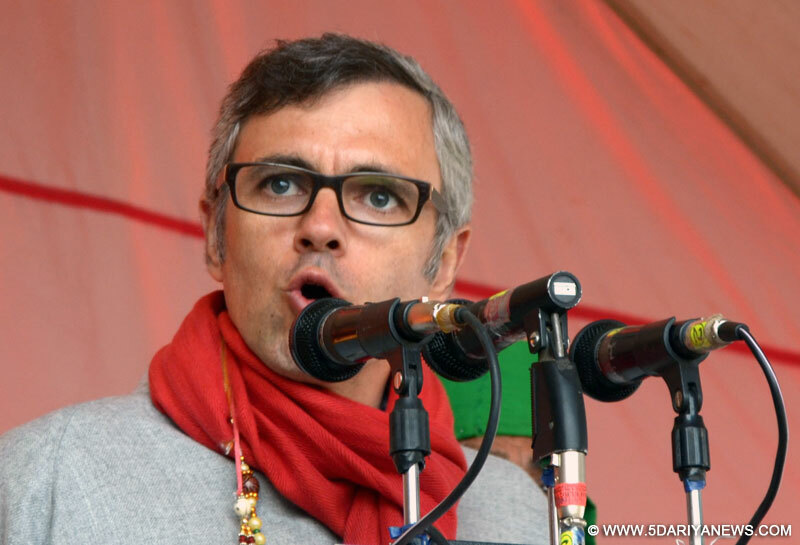 Former Jammu and Kashmir Chief Minister Omar Abdullah on Thursday called the killing by militants of an off duty Border Security Force (BSF) trooper in Bandipora town as "abominable".Reacting to the killing of Rameez Parray, who had come home on leave, in Parray Mohalla, Abdullah tweeted: "What a terrible incident. This is abominable. Heartfelt condolences to the family of Rameez Parrey. Hope the injured recover soon." Parray was posted with the 73rd battalion of the BSF in north Kashmir's Baramulla district.His father and mother were injured in the indiscriminate firing by militants on Wednesday evening while Parray died on the spot.Director General of Police S.P. Vaid said three to four militants barged into Parray's home and dragged him out. "When the family resisted, the attackers opened fire, fatally injuring Parray." Parray, who joined the BSF a few years ago, was on leave for the past 20 days.The BSF denounced the murder as "cowardly".An Army officer was abducted and killed by militants in Shopian in south Kashmir in May.